Chinese gardens, like the UK, are world famous and hold their own unique style and layout which entices tourists and green fingers to come to China to gaze upon their beauty. We at China Holidays encourage our guests to take an excursion to see one of China’s beautiful garden towns and see how they differ from those of other countries. Chinese garden style has evolved over 3,000 years and comes in an arrangement of styles, including vast gardens, Imperial Gardens and more intimate gardens for scholars, poets, soldiers and merchants as a place to escape from the outside world. A typical style Chinese garden is surrounded by walls and usually includes more than one pond. There are usually an assortment of halls and pavilions which are connected by winding paths and galleries. Some gardens too contain Chinese towers, known in English as Pagodas. There are examples of gardens in China’s major cities. 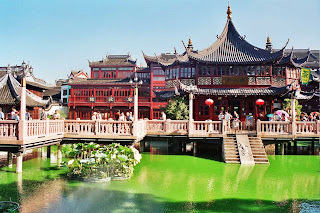 Probably the most famous of these is the Yuyuan Gardens in Shanghai. The Yuyuan Gardens were created by a general during the Ming Dynasty period (1368-1644) as a gift for his father to enjoy in his old age. The garden became the most lavish garden in Shanghai and so much expense was put into its creation that it eventually ruined the general financially. The garden was open to damage during the 19th century. Both during the Opium Wars and the Taiping Rebellion, structures within the gardens were destroyed. These structures could not again be repaired until the 1950s after Shanghai had gained independence away from Japanese and Western influence. The Yuyuan Gardens cover an area of two hectares and contains many exquisite halls and ponds with stunning, rare fish in them. The Yuan Ming Yuan Garden in Beijing, too, is an example of Chinese garden style. Inside the ground of the Yuan Ming Yuan Gardens, there are the old ruins of an ancient maze, and ruins of an ancient palace, which existed as the former Summer residence of the Qing Emperors. 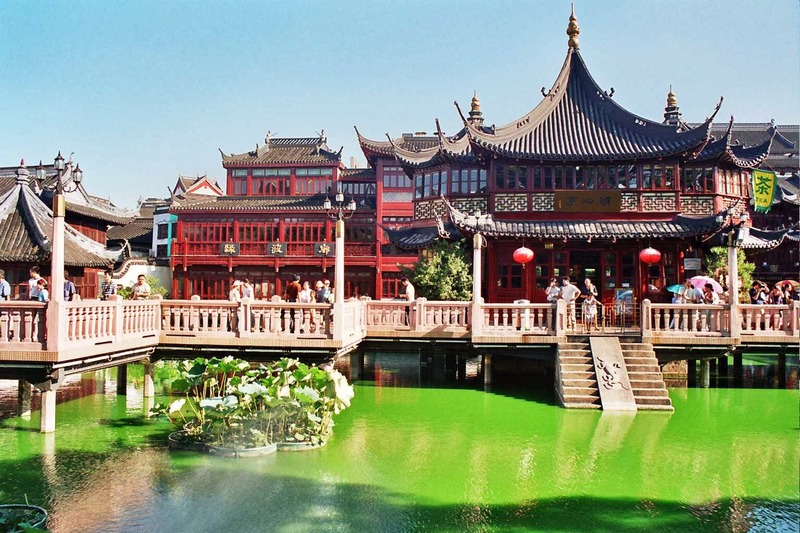 Some of the most famous garden cities in China are in the neighbouring areas of Shanghai. The most famous of these cities are Suzhou and Hangzhou. In Suzhou, tourists can visit the Classic Gardens of Suzhou, a group of gardens which have been awarded UNESCO status. These gardens were built from the Northern Song Dynasty in the 11th Century to the late Qing Dynasty in the 19th Century. Most of these gardens were built by scholars and embody key features of classical Chinese Gardens, such as the placement of rocks and hills to fit the laws of Fengshui. Furthermore, these gardens house pavilions and pagodas, another feature of Chinese gardens. The Suzhou area became extremely popular during the Ming Dynasty as a place of relaxation for the elite and over 200 private gardens existed at that time. Now, 8 of the finest gardens have been selected for UNESCO heritage. Hangzhou is the largest and capital city of Zhejiang Province. Hangzhou is renowned for its natural beauty and is often credited as being the most beautiful city in China. One of the most famous and beautiful sights in Hangzhou is West lake, a UNESCO World Heritage Sight which acts as a centre for the beautiful natural landscape of Hangzhou. Hangzhou is home also to stunning botanical gardens and protected wetlands which house many beautiful species of birds and plant-life. Hangzhou is also one of the stops of the Grand Canal which was built during the Sui Dynasty (581-618AD). The Grand Canal was built to connect Beijing in the north with Shanghai in the south, as well as connect the waterways of the Yangtze and Yellow River together. The Grand Canal adds to the beautiful natural scenery of Hangzhou and gives tourists an opportunity to see an austere edge to China. China has many wonderful examples of Chinese garden style. The placement and design of these gardens is extremely important for maintaining a relaxing and calming atmosphere for guests and local residence. Throughout history, Chinese gardens have been a place of calm and tranquility and thanks to Chinese policy and UNESCO status; these gorgeous natural wonders are maintained and protected. China Holidays can help organise tours which offer excursions to these gardens and garden cities, as well as organise a tailor-made itinerary which just visits Chinese gardens for the botanist enthusiasts.